Whatever the dynamics a resurgent Congress makes, the 2019 elections is an open game for all smaller parties as well as the two major parties. As it became clear on Tuesday that the Congress would fall a few seats short of the majority mark in Madhya Pradesh, state PCC president Kamal Nath made a call to BSP chief Mayawati who promptly assured her support to him and announced it at a press conference the very next day. Going by the kind of acrimonious bargaining and falling out the two parties had had before the Assembly polls in the state, the prompt offer of support was rather surprising. But not really if one goes by the pragmatic rules of politics. With the Congress on a high after the win in three states, it was but natural that all parties opposed to the BJP would back India’s grand old party to take on the Modi-Shah might, setting aside the huge leadership debates which plagued an anti-BJP front earlier. The Congress, which has been trying to get its act together after being routed in the 2014 general elections, had been hoping for exactly this as it gives India’s oldest party an opening to lead any Opposition alliance which comes into being before next year’s Lok Sabha polls. Though Ms Mayawati had a bitter parting with the Congress before the Assembly polls after a personal slanging match with senior Congress leader Digvijaya Singh, analysts say her decision to fight the elections separately dented the BJP as much as the Congress. “Most are talking about how the Congress could have won more seats had they fought with the BSP, but it cannot be denied that BSP fighting separately dented the BJP’s dalit vote bank too,” a senior leader, who did not wish to be named, told this newspaper. The leader, who hails from Rajasthan, gave an example from his state where the BJP has won only 20 of the 59 reserved seats for candidates from SC/ST and OBC communities. In the previous Assembly polls the party had won 50 of these seats. In Madhya Pradesh, during seat-sharing talks, the BSP had demanded around 50 seats in MP, while the Congress was not ready to concede more than 25-30. Though privately Congress leaders maintained that there was no point in conceding ground to the BSP, in public party president Rahul Gandhi kept his “Opposition unity” pitch intact. The Samajwadi Party, which has formed an alliance with the BSP in mainly Uttar Pradesh, but has extended it to other states too has also followed suit and supported the Congress. The Congress’ win in the three Assembly polls, in fact, also puts a spanner in the works for the quest for a Third Front which many, including Trinamul Congress chief Mamata Banerjee, had been trying to cobble up. The main trouble with Ms Banerjee was that she was not ready to accept Congress president Rahul Gandhi as the face of a united Opposition. The Congress’ win in the three Hindi heartland states would be a dampner for efforts to keep the grand old party of India from taking on a leadership role in any Opposition alliance. The next step might be efforts to revive a Third Front as had been proposed by Ms Banerjee and TRS chief K. Chandrasekhar Rao. But the efforts would be weaker since two major players of the Third Front, NCP chief Sharad Pawar and Andhra Pradesh chief minister and TDP chief N. Chandrababu Naidu, have both thrown their weight behind the Congress and Mr Gandhi. Coalition dynamics might also change in Karnataka where the Congress has backed Janata Dal (Secular)’s H.D. Kumaraswamy as chief minister after failing to muster majority on its own. 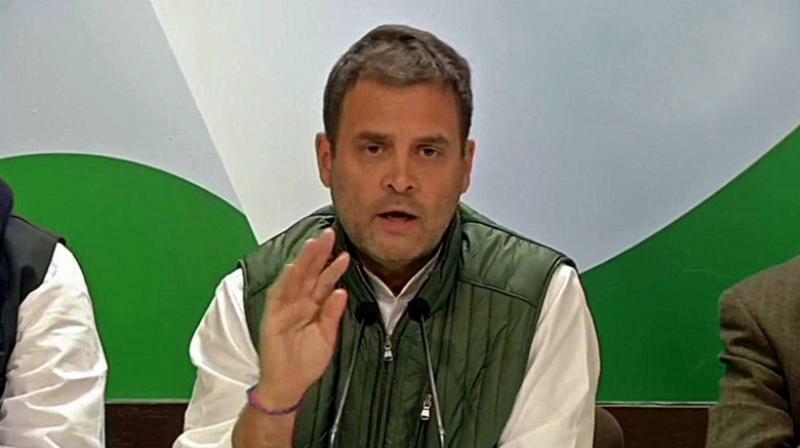 On its part, the Congress might think twice before making pre-poll alliances with any regional party after its experience in Telangana where it fought the polls in alliance with TDP, CPI and the TJS and lost, unlike in MP, Rajasthan and Chhattisgarh where it managed to defeat the BJP in a direct contest.